Skull Heads Tankard | BUDK.com - Knives & Swords At The Lowest Prices! Enjoy your beverage in this tankard! 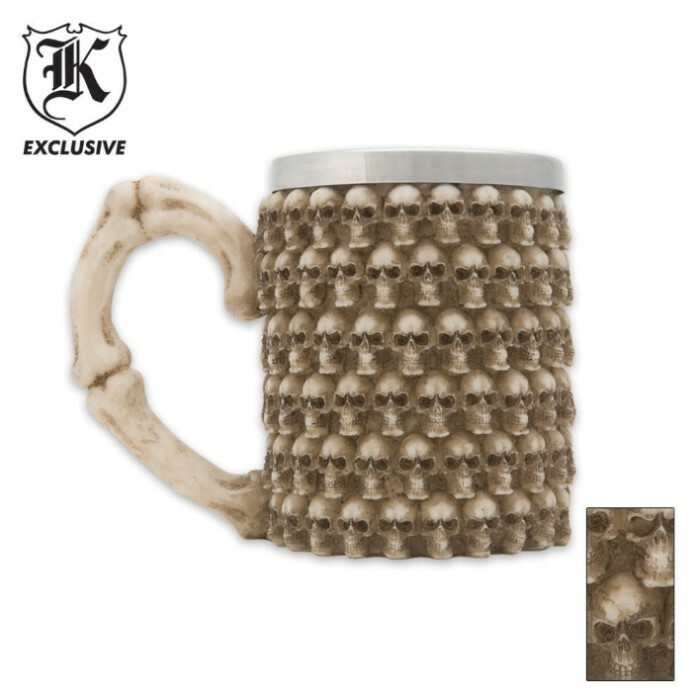 This cool drinking tankard features intricate design of skulls. The stainless steel inner liner helps keep your drink cool. Measures 4 1/2" tall x 6 3/8" wide and 3 1/4" in diameter. Made of cold cast resin.